AN apprentice chef from Gagebrook has made his culinary mark, winning a bronze medal in the third-year apprentice category of the Australian culinary federation (ACF) competition. 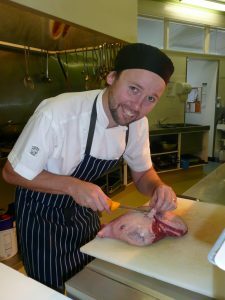 Anthony McCallum was one of only three Tasmanian chefs selected to represent the State in the annual one-day contest, held in Mooloolaba on the Sunshine Coast. JUDO has once again returned to Bridgewater PCYC and it has been welcomed with positive gusto. Wendy Masters, and her sons, Shane and Tim Masters, have resumed teaching Judo at PCYC after an absence of nine years. The judo classes add to a wide range of offerings at Bridgewater PCYC. THE State Government’s acceptance of the recommendations of the Access Economics’ review of valuation and local government rating in Tasmania could result in significant rate increases for Brighton residents. AS 2010 draws to a close I can happily report to you that Brighton Council is now totally debt-free. BRIGHTON Council is delighted it has received the support of the majority of Tasmanian councils for the Department of Infrastructure Energy and Resources (DIER) solution to construct a bridge across the site of Aboriginal artifacts as part of the Brighton Bypass. THE Brighton Council has slammed the Access Economics report into Tasmania’s local government rating system saying it fails to address rates volatility and could lead to significant rate increases.